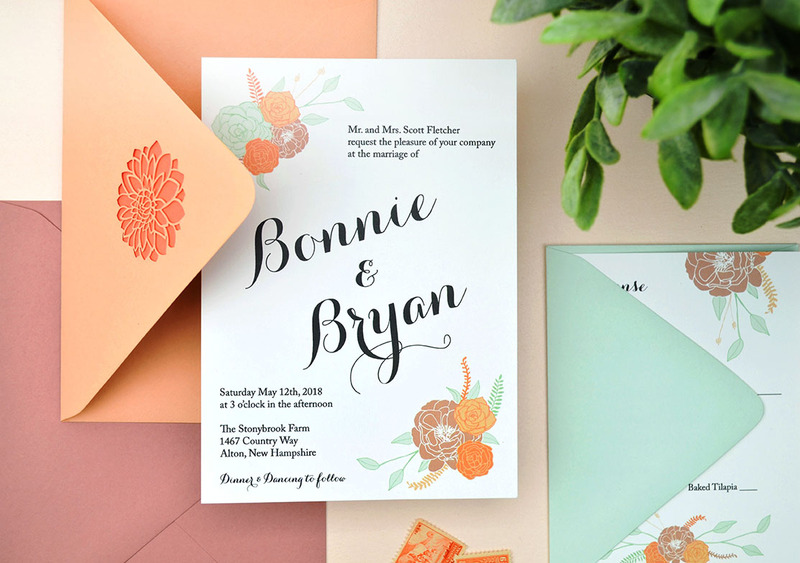 A sweet floral wedding invitation that’s just right for a spring or summer wedding! 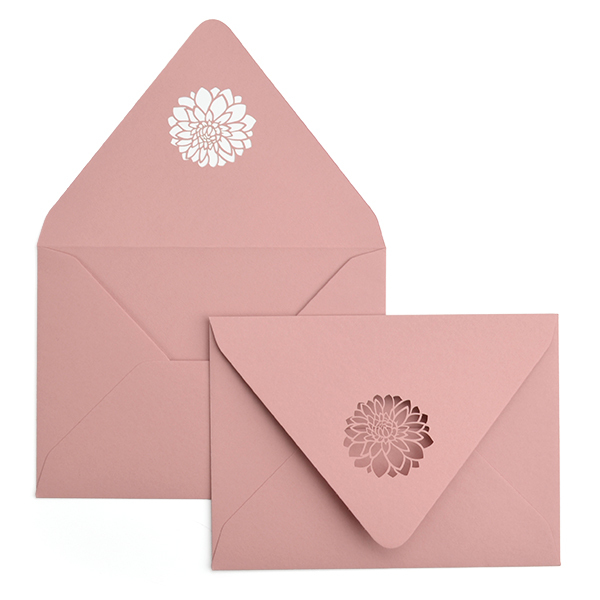 This is a simple suite made up of invitation and RSVP card that gets dressed up with a laser cut floral inner lined envelope. 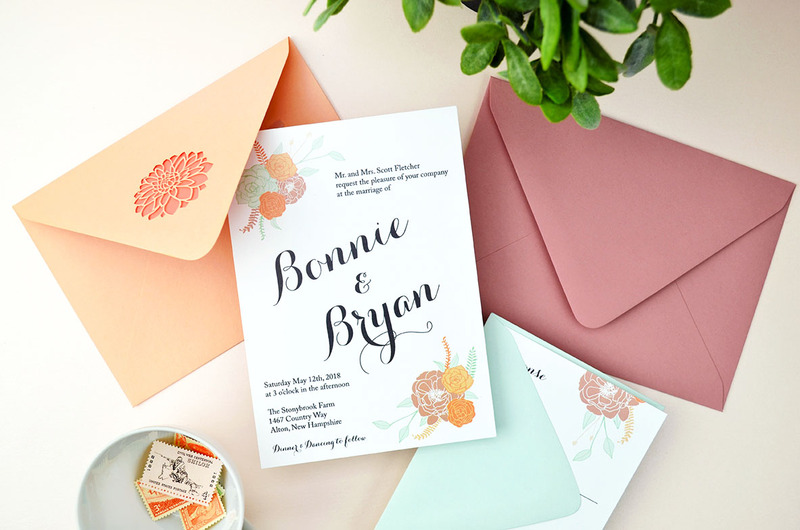 The color palette mixes bright pops of Peach and Coral with a muted Dusty Rose and pale Powder Green for a combination that’s light and fresh. 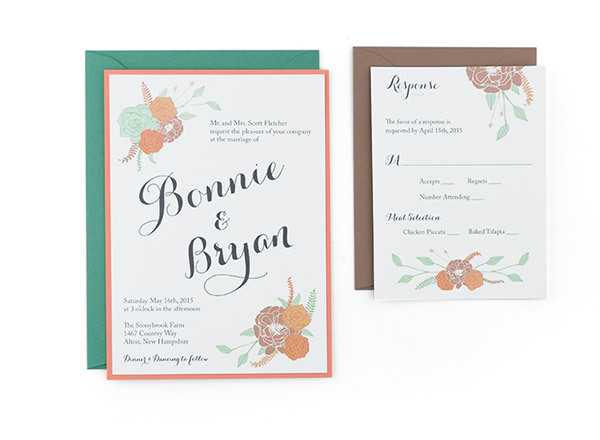 The invitation design is one of our free wedding invitation templates, which makes this a budget-friendly DIY invitation. 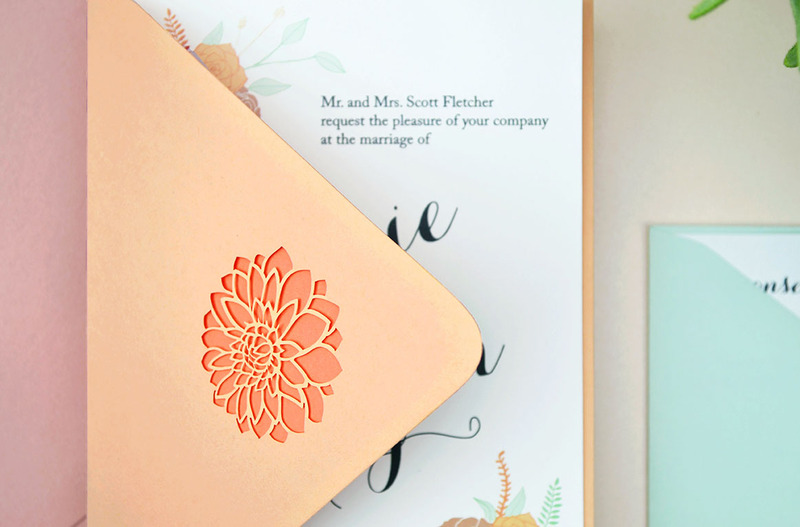 The first step to making these DIY invitations is to visit our free wedding invitation templates page and edit the “Hand Drawn Flowers” invite and RSVP template with all of your details. 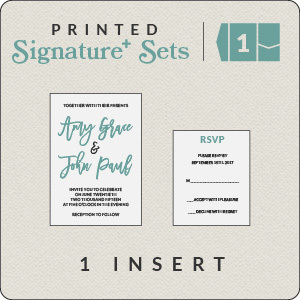 Once you’re finished, your invitation and RSVP will be sent to your email, where you can download and print on blank cardstock or pre-cut inserts. You can also order printing straight from the free template page for $.94 per set. Assembly for this invitation is super easy. Use a tape dispenser or other type of adhesive to mount the envelope liner to your inner envelope. 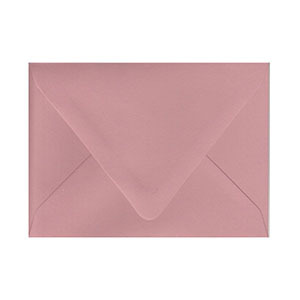 You can choose if you’d like to mount the liner flush against the edge of the envelope flap, or create an edge reveal. 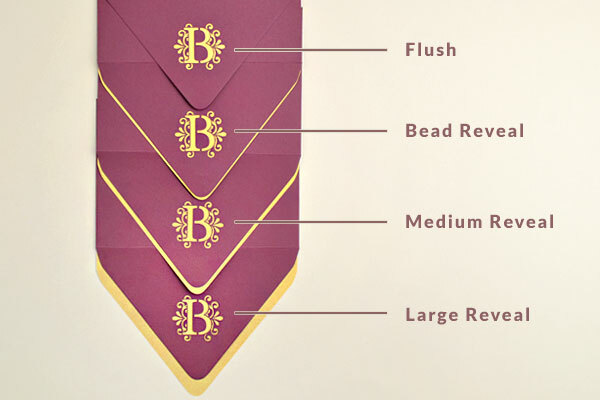 Here’s our guide for different ways to mount this envelope liner. You can also order your envelope liner with mounting services so it comes pre-assembled. Tuck your RSVP card under the flap of your pre-addressed and stamped RSVP (A2) envelope, and stack your RSVP card on top of your invitation card. 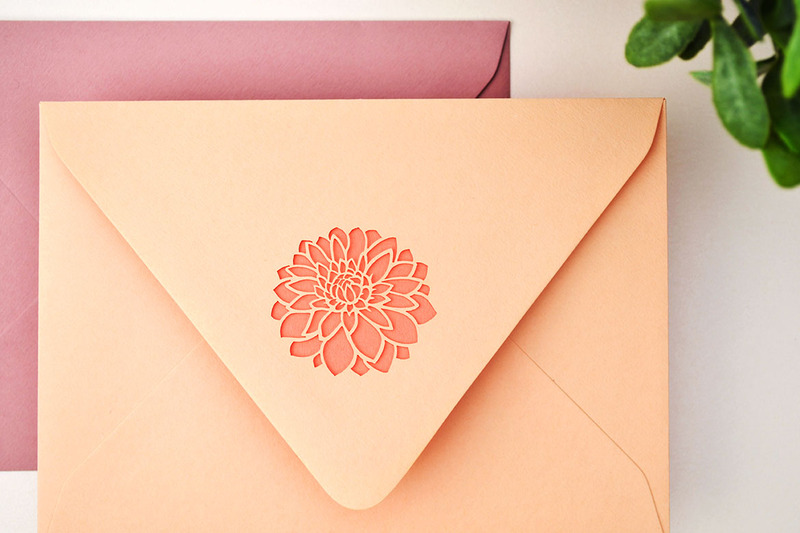 Slide both into your inner laser-cut envelope (no need to seal), then place that into your outer (pre-addressed) envelope, so that the front of the envelope is facing out. 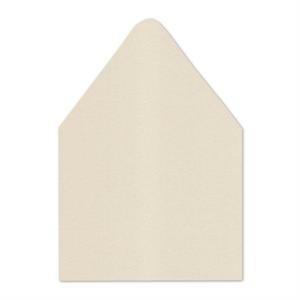 Seal your outer envelope with Envelope Moistener with adhesive for a secure seal. 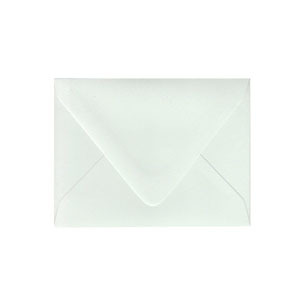 * If you’re not sure how to address double envelopes, you can read more about etiquette and uses here. 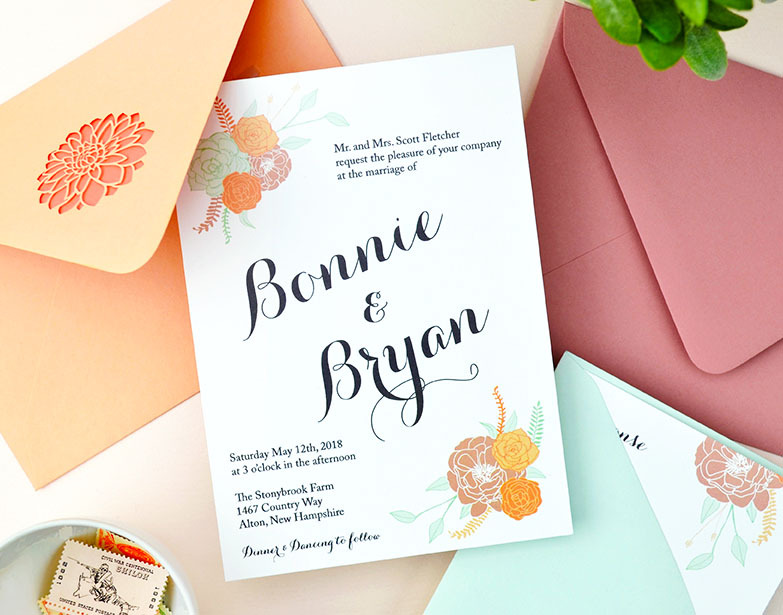 As always, you can really change the look of this invitation suite by picking different colors for envelopes and accessories to fit your wedding style (there are over 80 colors to choose from)!